USMLE Eligibility Criteria 2018: The eligibility criteria for United States Medical Licensing Examination (USMLE) is different for the Step1, Step2 (CK and CS) and Step 3. The most important eligibility criteria for USMLE 2018 for international aspirants is that they have to be either enrolled in a medical school or should have graduate of a medical school. The medical school should be listed in the World Directory of Medical Schools. While the aspirants in USA and Canada apply through USMLE, international aspirants are required to process their USMLE 2018 application through ECFMG. The first step of the three-step exam – USMLE 2018 is called Step 1. The Step 1 of USMLE 2018 includes topics like anatomy, biochemistry, pathology and microbiology, and a few others. The USMLE 2018 Step 1 assesses the aspirants ability to apply the various concepts of medical science that were taught during the undergraduate programme in the practice of medicine. The single-day exam is of 8 hour duration and comprises mainly of multiple-choice questions. 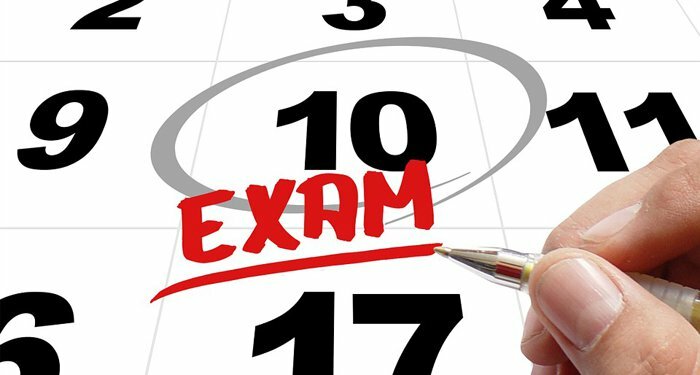 The eight-hour duration exam is conducted in seven 60-minute blocks. As per the format of USMLE, each block in Step 1 will have 40 questions or less. The total number of questions in Step exam will be 280 or less. The USMLE exam centres for Step 1 and Step 2 CK are usually at the country of residence of the aspirant. For Step 2 CS and Step 3, the aspirant has to travel to USA. As per the criteria laid by USMLE, the international aspirants residing outside USA and Canada, should be either enrolled in or a graduate of a medical school listed in the World Directory of Medical Schools. The eligibility criteria should also meet the ECFMG (Educational Commission for Foreign Medical Graduates) certification eligibility criteria. Aspirants interested in joining a residency programme in USA are assessed by the ECFMG. Aspirants should visit the Interactive Web Applications (IWA) of ECFMG for the same. The USMLE Step 2 is conducted in two phases – Clinical Knowledge (CK) and Clinical Science (CS). While the Clinical Knowledge (CK) is a paper-based test, the Clinical Science (CS) test takers go through a simulated patient care process. In this process, the CS aspirants diagnose and suggest medications for standardised patients (trained people portraying as real patients). The eligibility criteria for USMLE Step 2 CS and CK are same. The aspirant should be currently enrolled or should have successfully graduated a medical school from an international country excluding the USA and Canada. The medical school should also be listed in the World Directory of Medical Schools. The aspirant should also meet the ECFMG certification eligibility criteria. The aspirant should also meet the USMLE 2018 eligibility requirements during application. The last step of USMLE is called the Step 3. It is the final round which completes the USMLE exam. The eligibility criteria of USMLE 2018 Step 3 requires that the aspirant should have passed the previous steps; Step 1 and Step 2 as well as hold a MD or DO from LCME- or AOA- Accredited US or Canadian medical school or an equivalent degree from a medical school listed in the World Directory of Medical Schools. The two-day exam, the USMLE Step 3 is divided between Foundations of Independent Practice (FIP) and Advanced Clinical Medicine (ACM). Clearing USMLE Step3 leads to the final licence for students to practice medicine in the USA. Aspirants should possess a MD or DO from LCME- or AOA- Accredited US or Canadian medical school or equivalent listed in the World Directory of Medical Schools. The MD or DO equivalent degree should be earned by a medical school which is listed in the World Directory of Medical Schools. Should be enrolled in or graduate of a medical school outside of the US and Canada, which is listed in the World Directory of Medical Schools. Aspirants should meet ECFMG certification eligibility criteria. Aspirants should possess an MD or DO from LCME- or AOA- Accredited US or Canadian medical school or equivalent listed in the World Directory of Medical Schools. USMLE or United States Medical Licensing Examination screens medical graduates interested to practice medicine in the USA and Canada. The exam, conducted in three stages (also called steps), offers medical licensure in the US. The exam is sponsored two prominent American regulatory body – the Federation of State Medical Boards (FSMB) and the National Board of Medical Examiners (NBME).